A few months ago, while browsing upcoming titles I was prompted to check out Running the Rift, a new novel by Naomi Beneron. Spanning the years leading up to the Rwandan genocide in 1994, during which over 800,000 Tutsis were slaughtered by their own countrymen, Running the Rift follows the story of Jean Patrick Nkuba, a gifted runner on a quest to be the first Rwandan Olympic medalist in track. In a burst of enthusiasm for this upcoming work, I contacted Naomi and asked if I could interview her for this blog. Luckily for us, she said yes. On Tuesday, January 3, Running the Rift will hit bookstores near you. 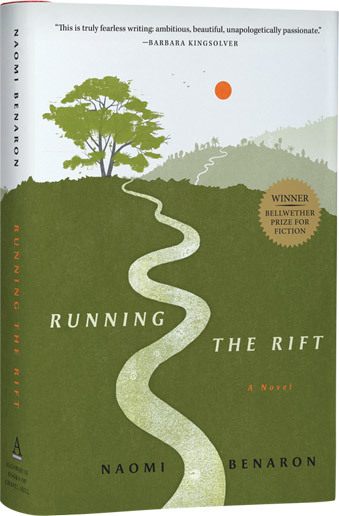 Running the Rift is the 2010 winner of the Bellwether Prize, an award funded by Barbara Kingsolver to a debut author whose work focuses on issues of social justice. Over the past few months, Naomi and I have developed a friendship and today I'm proud to introduce you to her. Here's a snippet of our conversation about her novel. I highly encourage you to pick it up at your local bookstore on Tuesday. And if you leave a comment on this post, you'll be automatically entered to win a signed copy from Naomi! SIP: Tell me about your first visit to Rwanda and how it affected your life. What compelled you to go? Why did you continue to return? NB: My first visit to Rwanda was serendipitous. I wanted to write a short story that involved someone from Africa who was fleeing war and who was an athlete, and I learned that a Burundian Olympic athlete was living in Tucson. I was meeting him for lunch, and when I told this to my dog trainer, she went crazy. She was in love with Rwanda and had been invited there for Roz Carr’s 90th birthday. Roz was an American expat who had spent most of her adult life in East Africa and had an orphanage for child survivors of the genocide. My dog trainer invited me to go with her, and I never looked back. From the moment I stepped off the plane, the beauty of both country and people affected me profoundly. Here was a nation that had been brought to its knees by the most horrific events, and yet I had never seen such open and lovely smiles. I grew up in the shadows of the Holocaust—my mother lost many in her family—and so I was naturally drawn to the story of the genocide. When I discovered a scattering of human bones on an early morning walk by Lake Kivu, I knew I would have to write the story of the bones. I kept coming back for research and because I met so many people who became close friends. In some sense, whenever my foot touches ground in Rwanda and I see, smell and hear the colorful chaos of the countryside, I feel as if I have come home. SIP: Jean Patrick became very real to me as I read RTR. Was he based on anyone you know? How did his character develop, change, and perhaps even surprise you as you wrote the story? NB: Jean Patrick is a mixture of imagination and several people I know, including me. Patrick Nduwimana, the Burundian Olympic 800 meter runner, gave me much inspiration, as did my Rwandese friends Jean Nganji and Mark Bizimana. Many of their anecdotes and quirky personality traits morphed into Jean Patrick’s character. As a scientist and competitive triathlete and runner for many years, I contributed much of my own passion and driving forces to his soul. For me, writing is very much like watching a movie. In my best moments, I turned Jean Patrick loose on the page and let him run, figuratively and literally. I think what surprised me the most was the relationships that developed between Jean Patrick and the other characters in the book. And of course there’s his love story, which was continually taking unexpected twists and turns. That still makes me cry when I think of it. SIP: I found Jean Patrick's coach to be one of the most interesting characters—almost as though he was the typical Rwandan (Hutu) at this time. How did his character come to be? NB: Interestingly, Rutembeza was the character who came most easily to me. I can’t tell you why, but he walked across the football field where Jean Patrick first saw him fully formed in my mind. I didn’t want some purely evil caricature of a man because the nature of the genocide was so complex, with neighbors killing neighbors: families they had shared meals with, done business with, gone to school with. That was one of the questions that first haunted me and that continues to haunt me: How can someone so lose sight of his humanity that he can kill neighbors and friends and even, in some cases, his wife and children? In Rwanda, there was so much propaganda that poisoned people’s minds, and it began with the false history that children learned in primary school. As I wrote the novel, what surprised me the most was Rutembeza’s depth of feeling for Jean Patrick. But then, as aggravating as Jean Patrick is, how can you not love him? SIP: As I read RTR, I frequently had to stop, drop everything, and pick up my running shoes. Running helped clear my head of the genocide that I knew was coming as I read. Tell me how your own running life impacted the writing of RTR. NB: Like Jean Patrick, I do my best thinking when I am running and running hard. As you say, it clears the mind. For me, that exquisite pain of being on the edge of what you can endure is a form of deep meditation, and as such, it opens the channel to the most creative parts of my brain. Running is part of my soul; it is a necessity, not a luxury. Right now I am injured—I can’t run at all—and I feel as though I am missing a limb or a chunk of my heart. SIP: You won the 2010 Bellwether Prize for Fiction. Congratulations! How instrumental was the prize in bringing RTR to publication? SIP: Tell me a little about your journey. You've published many short stories and poetry before committing to a novel, yet before obtaining your MFA from Antioch University, you held advanced degrees from MIT and Scripps Institute and worked as a scientist. How did your prior career affect and shape your writing career? NB: Both my parents were physicians, and it was always assumed I would follow in their footsteps and be a doctor. Everyone, it seems, in my father’s family is a physician. However, I seem to have been born with a gypsy nature—my mother always told me I had been left on the doorstep by gypsies—and I roamed around quite a bit before committing seriously to college. My second try at college, I started as a premed major but then fell in love with geology and physics. The poetry of science fascinates me; I love the way science makes sense out of the seeming chaos of the universe, and I love that so many stories of that order are swirling around under our noses. I could never separate writing from science; as a scientist, my writing soul kept knocking at the door, and now that I am a writer, science has camped out in my lines. One informs the other, and I don’t think that will change. SIP: What is the most important thing a writer should look for in an agent? What about in an editor and publishing house? NB: A writer needs a good fit in an agent, and that will obviously be different for every person. In any case, you need an agent who is personally and passionately committed to your work and who will be willing to go to bat for you. In my case, I was looking for an agent who connected personally to my work and who was a hands-on editor. I found that in Dan Lazar at Writers House. I very much appreciated his input with RTR, and am looking forward to his editorial wisdom with my novel in progress. I love that I can tell him about a book I have fallen for and he will go out and read it. And it works both ways; I have found some great books through his recommendations. As far as an editor and publishing house, I can’t say enough about Kathy Pories, my editor, and about Algonquin. You hear so many horror stories about publishing houses that don’t want to do any editing and that don’t invest in marketing, but Algonquin has supported me at every turn. They love the books they publish, and publishing those books is a labor of love. I guess what I’m saying is to look for an editor and a publishing house that will treat your book like a baby rather than a piece of property. SIP: Here's my favorite question for authors: If you could go back in time and give yourself advice about your writing journey, what would it be? Would you do anything differently? NB: That’s an interesting question! If I could reshape my history any way I wanted, I would spend a few years living in Rwanda, and I would learn to speak Kinyarwanda fluently, because I believe you can’t know a people without knowing the language. Writing about a culture that was so different from my own was extremely challenging, and I still worry that I haven’t gotten everything right. I think that is a given, and I think I have to come to terms with the fact that as long as I have treated Rwandese culture with honesty, humility, and respect, I have accomplished what I set out to accomplish: to bring Rwanda to life for an audience that in general knows very little about the country, her people or her history. SIP: You and I have both worked in Africa—me in Ghana with trafficked children, and you with genocide survivors in Rwanda. Of course, we could sit down with a cup or two of coffee and talk for hours about the continent—what we love, what is the greatest area of need, and the unexpected joys of the things we’ve learned from friends there. If possible, could you tell our readers the most important thing you have learned from your time in Rwanda? NB: Another good question! When I first went to Rwanda, I thought I was telling a story about genocide, but the more I got to know the country and the people, the more I came to realize I was telling the story of the resilience of the Rwandese spirit and about their power and strength to rise above the most unspeakable horror. The country itself is a wonderful metaphor for this. The first time I went, it was still reeling from the war; there were burnt out shells of buildings everywhere, bullet holes in walls, orphaned children roaming the streets. Each time I went, there was more rebuilding, and it extended further and further into the countryside. New houses rose from the ruins of the old, and the signs of abject poverty disappeared. Now, even most of the street children have found homes and have been given a future. Really, the country seems reborn, like a phoenix literally rising from the ashes. I have to give a great deal of credit to the government for this. No one was willing to give Rwanda a hand after the genocide—why invest in such a risky business venture?—and yet, President Kagame rolled up his sleeves and set about building a new country by himself. And the country reflects the spirit of the people. I am continually amazed at the love, the strength, and the energy of the Rwandese people. When they say never again, they mean it, and they will do whatever it takes to make the statement a reality. By the way, I am going to hold you to your word on that cup of coffee; I look forward to it! SIP: I know you are nearing completion of your next book. 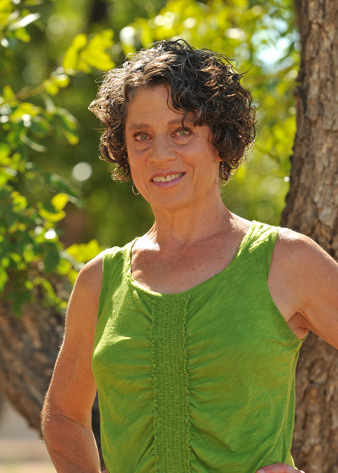 Can you share with our readers a little about the next Naomi Benaron title? I wish it were true! I am probably about halfway through an early draft of my next novel. The working title is Fragments of Beauty, and it’s about three generations of Holocaust survivors. The grandmother is a survivor of Terezín and Auschwitz. She survived because she was a dancer. Her granddaughter is also a dancer, and she wants to tell her grandmother’s story through a hip hop dance production. Not many people know the story of Terezín, how it was the one camp where the arts were allowed to flourish and how the arts gave the people the spirit to survive and to resist. Once more, it’s resilience and defiance that interests me. I learned it from my mother. SIP: What's on your bedside table right now? NB: I’m reading The Line by Olga Grushin, MetaMaus by Art Spiegelman, and Steal a Pencil for Me by Jaap Polak and Ina Soep, which is a collection of their love letters from Bergen-Belsen and Westerbork. I need to find a new poetry collection to read as well. Poetry keeps me balanced and on fire. SIP: Thank you, Naomi! Readers: leave a comment for your chance to win an autographed copy of Running the Rift, and be sure to pick up a copy on Tuesday, January 3rd! I live and work in Rwanda as Director of Logistics/Marketing for Team Rwanda, the National Cycling Team of Rwanda. I've been looking forward to reading this book ever since Naomi and I stumbled across each other via Facebook connections. Working and cycling with 20+ young men, all horribly affected by the genocide I too have that feeling about Rwanda...that it is about the spirit of the people the ability to move forward every day no matter how tragic the past. So many more stories to tell. Great interview, Susan and Naomi.